Happy Sunday! SPRING AHEAD! Hopefully you remembered to set your clocks ahead last night (except for our friends in Arizona)! This week’s Sunday Sampler consists of rocks! I took a very “grungy” rock (actually almost looks like tree bark) and gave you several versions and colors. Enjoy! THE EBOOK IS DONE!! It’s heading to the printer tomorrow to have DVD’s made (it’s too big for a CD!). I will begin emailing links later this week to those who purchased the Electronic Version. The DVD’s should arrive right around the end of March and will be mailed as soon as I get them. I’ve extended the $5 off Coupon for pre-order of the 2nd eBook till 3/17 (CODE: preorder5), and I’ve added a $5 off Coupon for Book 1 (if you don’t have it yet – CODE: firstbook) which also expires 3/17. You CAN use both of these coupons at checkout if you’d like to order both books. I’m very excited about this new book – it has twelve projects that take you through various ways of working with textures, overlays, gradients, type and layer styles, brushes and much more. It’s 117 pages chock full of creative inspiration! All images and textures used in the projects are included so you can work along with me. And there are bonus sets of textures and brushes as well as a list of my favorite resources! And while you’re in the store, be sure to check out my texture selections – I am working on some new sets and plan to have them added in the next week or so. And while you’re over on the website, be sure to check out the upcoming Creative Photography Conference, May 18-19, 2019 in Southbridge, MA. I’ve posted bios for each of our speakers as well as the seminars they will be doing and some examples of their fabulous work. Also posted is the Conference Schedule. This will be the last New England Conference – don’t miss out! March 24 – Photoshop Beginner – FULL! If you are interested in this workshop please email me your name to be put on a list for the next session. Workshops are hands-on with a laptop (or you may follow along if preferred). I will supply images to work on together as well as notes. Each session is just $69 and will be held at CT Band Instruments at 1 Church Street, Stratford, CT, 1:00-4:30 pm. And there are a couple of active promotions for bundles of goodies! If you can’t get enough fonts, check out the GRADIOSE SCRIPT FONTS BUNDLE consisting of 84 script font families with a total of 130 unique fonts – just $29! This one contains 55 font families; 176 retro designs and much more! Also just $29. All of their bundles come with a full personal/commercial license. So now that you have lots of cool new fonts to play with, here are “20 Amazing Free Photoshop Text Effects” tutorials from WebDesignDev.com. Goodbye 2018 – Hello 2019! Just one more day till we ring in the new year! Time sure does fly, doesn’t it? I have lots of plans for photography projects this coming year – the 2nd eBook is progressing (release by 4/1 or sooner); some online tutorials (written and videos); more textures, of course; and a few other projects I am contemplating! The Creative Photography Conference will be heading out to new locations – working on something for Fall of 2019. We’re planning on two conferences a year – one in Spring and one in the Fall. This was taken along the Skyline Drive in VA in Spring of 2017. A thunderstorm had just passed by. I accented the shafts of sunlight with Studio Magic. And, of course, you may know that we are planning a move this year to Tennessee near the Great Smoky Mountains! Still looking for our new place – I’m sure we’ll find it when the time is right! This week’s Sunday Sampler consists of some textures taken from that same trip to Virginia. Rocks, rust and some old barn wood. Enjoy! AND…I’ve just posted “Sunday Sampler Group 5” for sale in the Peacock Studio! This consists of all of the textures from the Sunday Samplers from Jan – June 2018. Every six months I group the textures and post in the store in case you’re new to the blog and/or missed them previously. There is always AT LEAST six months worth that you can scroll back through the old blog posts and download. The Sunday Sampler Groups normally sell for $15 each, but I’m doing a SALE on ALL FIVE GROUPS till next Sunday for JUST $10 per group! Each group has at least 70 large textures (4500 px x 3000 px). These can be used for both personal and commercial work, but they cannot be shared, sold or redistributed in any way. CHECK OUT THE SALE HERE! NOTE: Because these are such large files (300-600MB), I will send you a direct link after purchase. Thanks! My next Topaz webinar will be Tuesday, January 8th at 5:00 pm Eastern time. Registration will go live later this week. Join me for some new creative techniques in Topaz Studio, where I’ll use the Pro Adjustments, Impression and, of course, Topaz Texture Effects! I’ll give you some insight on my thought process and why I select the effects that I do, as well as how to modify presets to your taste and layer multiple presets. Watch me take this simple leaf shot and create four versions (below) by layering presets in Topaz Studio and Texture Effects. AND…check back every day this week for the 7 days of Sizzling Offers! Here’s a good article on a project for a Winter day when you want to say inside…“How to Photograph Smoke” from PictureCorrect.com. I hope everyone had a nice Thanksgiving! We were in Buffalo this week – at Niagara Falls on Thanksgiving Morning at 19 degrees! Wasn’t too bad until we walked out on the observation deck over the river and the wind kicked in – Yikes! Wasn’t out there very long! On Friday we went to the Buffalo & Erie Botanical Garden. It was designed as a replica of the New York Botanical Garden in the Bronx. This was the first day of the poinsettia and model train show. Not quite as elaborate as the NYBG, but pretty nonetheless. This week’s Sunday Sampler consists of some textures from the botanical garden – flower pots and tree bark! Enjoy! Black Friday, Cyber Monday & other special deals continue! A recap of the past week’s posts in case you missed them! Pre-Order my 2nd eBook at 40% off! I also released 3 new texture sets at 25% off. Use the code HOLIDAY2018 to save 25% on any of my texture sets or first eBook. EXTENDED THROUGH 11/30! Click HERE to go to the store. The great Topaz deals END MIDNIGHT CENTRAL TIME MON., NOV. 26TH! Don’t miss out! Click HERE to go to last week’s blog post and all the details! Deals run till Dec. 2nd. Click HERE to go to last week’s blog post and all the details! Fabulous brushes for digital painting AND for creating textures! Sale expires Monday midnight (UK time). Click HERE to find the details. I ordered my deal today! Don’t miss this one! FIFTY fabulous products for just $99! I love, love, love Design Cuts. I’ve gotten lots of great bundles from them – fonts, textures, brushes and much more. Their regular bundles are $29 and a great deal too! But this special Black Friday Bonanza is totally amazing. One product has 150 textures! That alone is worth the $99! Lots of great fonts, more textures, brushes, mock-ups, and more. CLICK HERE! Layer Cake/Studio Magic – Coming Up! They are putting the finishing touches on a great deal for my readers! I’ll email as soon as it’s live! Don’t Miss Out on Early Bird Pricing! The Early Bird Pricing ends midnight Nov. 30th (EST). Save $61 on registration and reserve your seat for our fabulous line-up of creative speakers. We will have multiple events simultaneously and will have the photo-ops room open all weekend (practice flower photography with Lensbaby loaners and your macro skills with many tabletop set-ups). Also new this year will be buffet dinners on Friday and Saturday nights. Don’t wait in a restaurant – join us and socialize with other attendees and our speakers! Just $20 per dinner. And, as always, included is all Sat./Sun. sessions; lunch both days; coffee “and” in the mornings; speaker notes on a flash drive, a goody bag with discounts and other items; and LOTS of door prizes. Hunt’s Photo will also be here again for your shopping pleasure! DEALS FROM PIXELO! Another great “bundle” company. If you like using Photoshop add-ons (plug-ins, layer styles, brushes, swatches and more), then you’ll love this one! 5500 Unique Add-Ons for $29! AND until tomorrow night you can save 20% off that great price … go to the top of the page and enter your email and you will get a coupon code to use! Stay tuned for more deals this week! The biggest Topaz sale of the year! Starts Thanksgiving morning and runs through Cyber Monday midnight (CST). 3 DEALS TO CHOOSE FROM! All 24 Pro Adjustments including AI ReMix & AI Clear plus the other 22 adjustments. NOTE: You only pay for what you don’t own – be sure to be logged in to your account and when you place in your cart, you will see your special price based on what you already own). Includes AI ReMix, AI Clear and AI GigaPexel! EVERYTHING ELSE IN THE TOPAZ STORE IS 25% OFF! Every adjustment, plug-in and standalone program! If it’s not in the two bundles above, it’s 25% off. NO COUPON CODES NEEDED! PRICES WILL BE AUTOMATICALLY ADJUSTED IN YOUR CART. Click here to grab these special deals! Our friends at Think Tank Photo just announced their Black Friday specials. It will put its popular Airport Advantage Plus rolling camera bag on sale at 50% off over Black Friday weekend. In addition, several of its most popular camera bags will be on sale at 40% starting on Black Friday and through December 2nd. CLICK HERE TO GET THESE SPECIAL DEALS! And don’t forget, by using my special Web link when ordering, you will receive a free gift and free shipping on top of the discounts! A freebie I just saw online! 20+ Free High Quality Photoshop Brush Sets from WebDesignDev.com. And, from MediaLoot.com, How to Make a Text Portrait in Photoshop. And don’t forget to take advantage of my eBook pre-release and Peacock Studio Discounts (See the 11/18 blog post). (See the 11/18 blog post). There are more Black Friday specials coming…stay tuned! Happy Thanksgiving week! I hope you have a wonderful holiday with family and friends. Let the shopping sales begin! This week’s Sunday Sampler consists of a patterned sidewalk that I edited 3 ways in Topaz! You can further edit as desired and/or change colors with hue/saturation or Topaz ReStyle (which changes the color palette of the image). My second eBook is under way! This will be a continuation of Book 1, with more projects than ever; more textures; and more brushes! In Book 1 I showed you the basics of working with textures – how to find them, photograph them, and create your own in Photoshop with brushes. You learned how blending modes make our textures work with our images and turn them into your own “Work of Art”. In Book Two, we will delve further into projects that incorporate many textures and brush overlays (sometimes as many as 6 or more!). You will learn to composite several images and how to make them blend seamlessly. I promised in Book One that I would show you how I created the cover art “Vultures & Cosmos” – that is one of many projects you will do (minimum of ten projects). As in Book One, you get a PDF file of the actual eBook plus all the textures, brushes and photos to follow along with the projects. There will be several extra bonus sets of textures and brushes as well (I’m still adding to this group). THIS PRE-ORDER IS AVAILABLE ONLY UNTIL MIDNIGHT EST, SUNDAY, NOV. 25th! SAVE 40% off the list price of $25 – Just $15! It is available both as an electronic version or an actual CD. Shipping for CD’s in the U.S. is $5, outside the U.S. it’s $15. Click HERE to go to the Peacock Studio store! Also new in the Peacock Studio are 3 new texture sets! Just added today – 3 new computer-created texture sets – “Inky Leaks 1”; “Procreate 1”; and “Watercolor Designs 1”. These 3 sets as well as all of my texture sets and the first eBook are now 25% off until Sunday, Nov. 25th at midnight EST. These 3 texture sets are the first in 3 new series – more to be added soon! These 3 sets are regular $6 – just $4.50 with the 25% sale. USE CODE HOLIDAY2018 AT CHECKOUT! Click Peacock Studio to see all of our textures and products. REMINDER…Early Bird Pricing for the 2019 Creative Photography Conference ends on Nov. 30th! Save $61 and register for our great 2019 line up! No other discounts will be offered, so don’t miss the savings! CLICK HERE to read all the details and to register. Registration includes all Sat. & Sun. seminars; photo-ops; lunch both days; coffee/tea & refreshments in the mornings; speaker notes on a flash drive; LOTS of door prizes; and a goody bag with discounts & freebies. There will also be vendor tables for your shopping pleasure! New in 2019 are 2 pre-conference workshops on Friday afternoon (additional fee), as well as optional dinner buffet (save waiting!). The Black Friday Sales will be in full swing this week from many of the vendors I do business with! I’ll be sending another post or two this week to keep you up-to-date with the best deals! Topaz’s sale will run Thanksgiving through Cyber Monday (I can’t reveal what it is yet!). StudioMagic is having a FABULOUS sale on all of their products (they have over 60 of them! You DON’T want to miss this one for sure! And many of the companies that do “bundles” of products will be releasing info soon — stay tuned! Happy Sunday and a warm welcome to all of the new subscribers! Thank you for watching my Topaz webinar this past week. It was fun doing some Halloween-themed images! We had lots of great questions as well. I printed out the chat so I can answer more of the questions here in the Topaz Corner (see below). We try to cover a LOT of information during the webinars – I know for some people it seemed to go too fast – but that’s why they record the webinars so you can go back and watch again! The “edited” webinar is not posted yet, but you can get to the unedited copy by clicking HERE. And if you haven’t gotten them yet, I have the notes for this webinar for sale in my online store for just $5! This gives you all of the images that I worked on during the webinar, the notes with the settings that I used, AND a bonus set of textures (these textures are not available anywhere else – they will be part of some upcoming sets in the store). Click HERE to go to the web store and then select “Topaz Notes” (the notes for my last webinar are also still available). This week’s Sunday Sampler started with a shot of tree bark that I took on my jaunt this week to Southford Falls State Park in Southford, CT. I then did a couple of variations using AI ReMix in Studio. After editing these leaves, I added a preset in Topaz Studio to give them some added “punch”. I’ve been totally amazed with the quality of AI Clear. It really makes my images look great! I did mask it off of the water a little so that they wouldn’t be overly sharp. If you’d like to see some more of “What’s New with Topaz Labs”, I will be doing a webinar tonight at 7:00 pm Eastern Time, for NPEG (the National Photography Enthusiasts Group). They have allowed me to open up registration to you as well! Click HERE to sign up! I’ll be covering Topaz Studio and some of the Pro Adjustments that have been added since the Summer when I did my last webinar for them. So as I mentioned above, I printed the chat log from Tuesday’s webinar so that I could answer questions we couldn’t get to during the presentation. I love reading all the “hello’s” when people log on and seeing where everyone is from (all over the world!). A couple questions from the first project, the “haunted” house and graffiti overlay. Q. How did she unlock the ratio? Q. Where did she get the clip art? Where did she get the lightning? A. The graffiti shot I used was from Layer Cake’s “Epic Location Sets” (Urban Chic set) and the lightning was from their Studio Magic plug-in program. I recently did a webinar for them utilizing these new Location Sets. They are also the makers of Studio Magic, an awesome plug-in to Photoshop (I have done a webinar on this as well). You can save 90% and get Studio Magic, free sky overlays and the 1200 Epic Location Sets for just $125 HERE. Or just the 1200 Location Sets and Skies for $99 HERE. The other clip art I showed (spider web, pumpkin, ghost), I downloaded from Brusheezy.com. They have TONS of free brushes, clip art and more (also Vecteezy.com for graphics). Also watch the blog for “Around the Web” links to other great resources. Q. 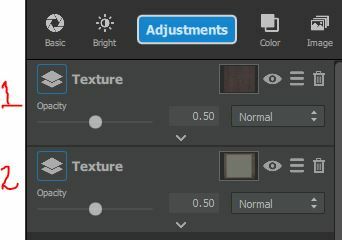 How do I import textures into Studio? A. I put together a tutorial sheet on how to do this with screen shots. Click – How to Add Textures to get the pdf file! Q. How did she get two different textures to apply? When I do that, the second will override the first! I will answer some more questions next week! Just a reminder…the Early Bird pricing for our 3rd Creative Photography Conference ends on November 30th! Join us May 18-19, 2019 at the Southbridge Hotel & Conference Center in Southbridge, MA, and unleash your creative side! Our fabulous speakers: John Barclay, Anne Belmont, Mark Bowie, Betty Wiley, Jane Driscoll, Loretta Paul-Goldin, Jan Doyle and me, will show you techniques including Topaz, textures, LensBaby, landscapes, Lightroom, Photoshop, Luminar, iPhoneography, creative projects with your photos, YouTube publicity and creating your own textures in PS and with alcohol inks. We’ll also have a photo ops room with set ups to photograph, and much, much more! 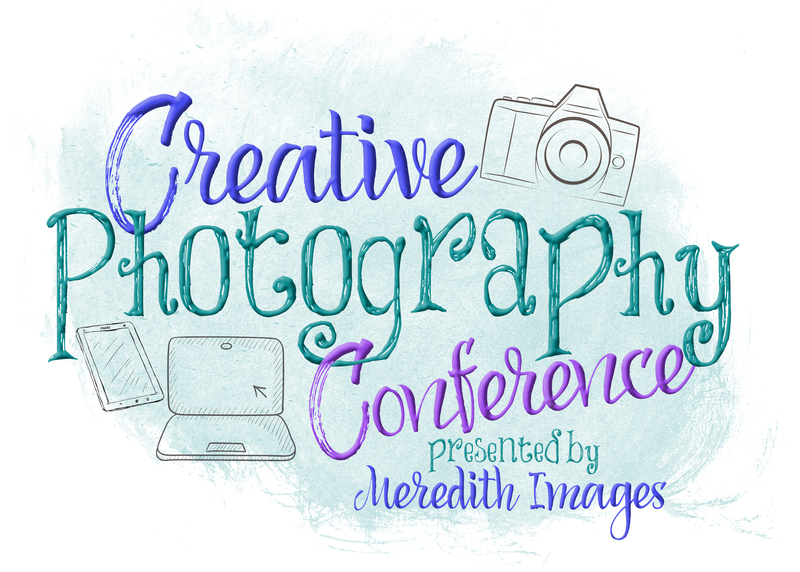 Go to our website at: https://www.meredithimages.com/creative-photography-conference/ for all the details and to register! Happy Sunday! Go Red Sox! This week’s Sunday Sampler consists of some beautiful clouds from Cape Cod. I judged at the Cape Cod Art Center Camera Club on Thursday evening. Got to visit John Barclay & Rad Drew for breakfast on Friday along with their workshop group, and dinner Friday with friends, Michael & Suz Karchmer. Busy couple of days! I had also hoped to meet up with Betty Wiley (one of our Creative Photography Conference speakers), but she had some computer issues and had to head to the Apple store off-Cape! The Peacock Studio’s new mascot, Pete the Peacock, went along for the trip! He precariously perched on the fence at Highland Lighthouse (though the breeze knocked him down a few times!). He will be traveling with me and also be featured in my upcoming new travel blog…stay tuned! This coming Tuesday, October 30th, is my next Topaz webinar! Join me at 5:00 p.m. Eastern time for all the “spooky” edits! I will have notes available for this webinar for just $5. Includes full notes/settings, the images used so you can follow along when you watch the recording of the webinar, plus some bonuses! The notes will be available immediately after the webinar. (Notes from the previous webinar are also still available in my store). I will also offer a 25% discount on my eBook and textures in the Peacock Studio with the code TOPAZ25. The 25% off discount expires midnight Nov. 10th Eastern time. Visit the Peacock Studio HERE! As a flower photographer, Anne’s greatest passion lies in seeing and capturing the beauty of flowers and other botanical subjects up-close. It is the small, often unnoticed details that draw Anne to her subjects – the patterns, textures, curves and unique personality of each subject. It is her belief that if we slow down and look at nature in a more contemplative way, we will find subjects that convey impact and emotion, causing the eye to linger a little longer. Some of those subjects might even have stories to tell. With a lifelong involvement in the arts and her deep love of nature, photography became a perfect way for Anne to share her vision of the natural world with others. Her first career as an art therapist has shaped the way she views art and the creative process, and has reinforced her belief in the healing power of both art and nature in our lives. On any given day you will find her at her favorite place to photograph, the Chicago Botanic Garden. She was commissioned by the Garden to do a solo exhibition of her orchid photography, displayed in 20 larger-than-life panels during the 2015 – 2017 Orchid Shows. Anne is on the Out of Chicago Photography team, organizing and presenting at their conferences. She presents programs and teaches workshops on flower photography at conferences and groups throughout the country. She is a writer for the learning community Visual Wilderness, where she writes about flower and macro photography. Anne partners with Lensbaby, and is passionate about using and promoting their creative lenses to enhance the artistry of photography. She is firmly committed to the idea that we should never stop learning, growing, experimenting and having fun with photography. JOIN ANNE AND THE REST OF OUR CREATIVE LINE-UP AT THE 3RD CREATIVE PHOTOGRAPHY CONFERENCE, MAY 18-29, 2019 at the Southbridge Hotel & Conference Center, Southbridge, MA. Early Bird discount available until Nov. 30th – Don’t miss out! Find all the details on our website HERE! FREEBIES from MediaLoot – 22 Beautiful and Seamless Rock Textures! There are also additional freebies and for-purchase textures on this page. Freebies from Pixelo – All kinds of goodies! Check ’em out! Happy Sunday! Hope you are enjoying your Summer! This week’s Sunday Sampler gives you some blurred background photos – trees and a spider web! Use hue/saturation adjustments to change the colors or desaturate the images. Enjoy! If you haven’t signed up for the StudioMagic webinar this coming Thursday, July 26th (2 pm Eastern; 11 am Pacific), it’s not too late! Even if you can’t watch live (though I hope you can), sign up and get a set of Elegance Photoshop Actions (worth $47), and you will receive a link to watch the webinar later (link sent after live webinar). Sign up at http://bit.ly/web825. One of the questions I often get in my Topaz webinars, is how to add your own textures to Studio or Texture Effects. So I put together a tutorial – it’s really a simple process. Click on this link: Topaz – Add Textures to Studio or Texture Effects Enjoy! A HUGE thank you to all who attended last weekend’s “2nd Creative Photography Conference”! It was a very successful event – we had great speakers, good food, nice atmosphere – overall I was very pleased with the event (with the exception of the lounge food service!). We are planning to hold the event in other locations around the U.S. and we’d love your feedback on where to visit! Please take this short SURVEY and let us know where you’d like us to hold an event, and any feedback you have on the first 2 conferences if you attended. Thanks for your help! This week’s Sunday Sampler contains six textures as I did not publish last weekend. These images were taken at the Conference by my hubby, Dave. There are “blurred” versions of the marble fireplace and some beautiful early morning skies from Sat. morning – just before the rain set in! Thanks dear! If you are new to the blog, we have a Facebook group for our texture artists! We hit 1,000 members last Fall and we are over 1,800 now! And since we have so many new members, last night I announced a Memorial Day Sale on all textures and eBooks in the Peacock Studio. Save 25% off through 5/31/18 with the code MEMORIAL25 at checkout. Click HERE to visit the store. And speaking of Memorial Day, let us not forget the true meaning of the day – to remember those fallen servicemen and women who made the ultimate sacrifice for our freedom. Last year we were in Washington, D.C. on this weekend – it was extremely emotional. We visited Arlington Cemetery on Sunday and witnessed the flags at all of the graves. There were also volunteers laying roses on each grave. Beautiful. Watched the changing of the guard at the Tomb of the Unknown Soldiers in the pouring rain – they perform their duties rain, shine, snow, cold – the soldiers chosen consider it an honor to guard the tomb. On Monday we visited several of the Memorials in D.C. Another very emotional day. Have a wonderful holiday weekend with friends and family and remember our fallen heroes.